It is very interesting to know that the Nigerian music industry is booming these days. It is unlike what we’ve ever seen before, with better videos and picture quality which can rival anything produced anywhere in the world. In this post, we will reveal the Nigerian Singers who at the peak of their powers, dumped music for other things. Weird MC came and totally blew all her rivals away with her incredibly unique rap skills. She is fondly remembered for the hit song “Ijoya”. She did some other stuff on the music scene but it is quite unclear why she is no more seen in the music industry doing what she knows how to do best… Rap! Without doubt one of Nigeria’s finest rappers. This singer knew how to wow fans with really meaningful songs. He is a lawyer too. The co-owner of Trybe Record, it is quite unclear why he left the music scene but it came as a shock to his fans when he announced he was retiring from music. Sasha’s rise to fame was unprecedented but when she got to the top, she simply made the limelight her own. At the time when female artistes were scarcely seen on our screens, she came with her wonderful rap lyrics to thrill us with her incredible piece of rap skills. Sasha was at the height of her powers when she left the music scene. 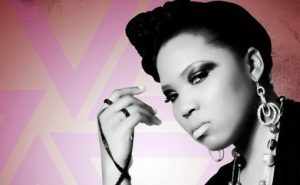 Until she left, she was Queen of rap music in Nigeria. The “kini big deal” crooner suddenly vanished from the forefront of the Nigerian music scene. Naeto C was one really interesting singer and rapper, but it is quite unclear why he left music. He is from a rich family though.